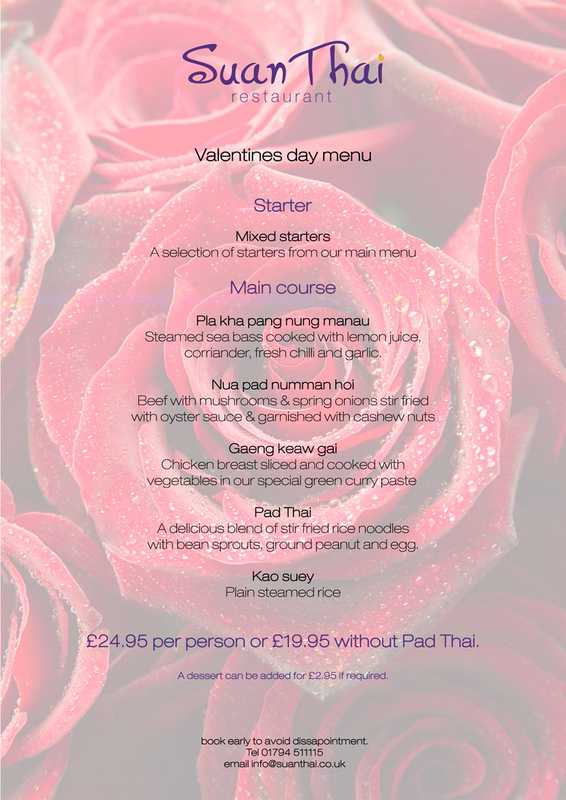 Treat your loved one or even yourself to an authentic Thai meal this Valentines day at the Suan Thai Restaurant. No double sittings, your table is yours for the evening so you can spend as long as you want in our peaceful surroundings. Its that time of year already! 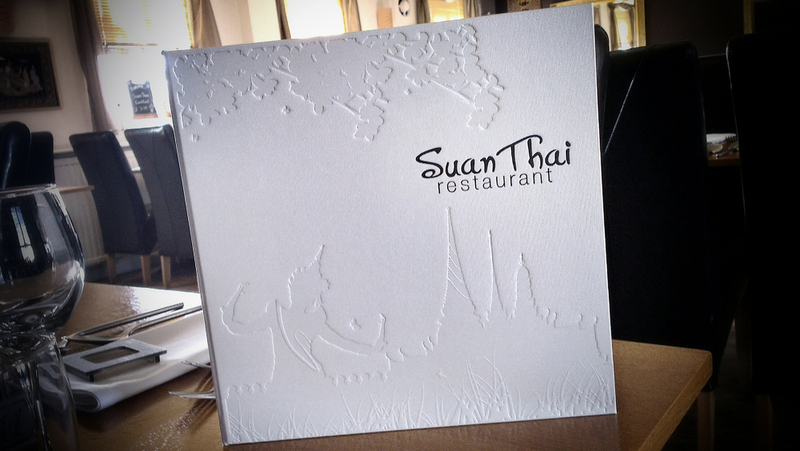 Enjoy an alternative to all the Turkey this year with a Christmas Party at the Suan Thai. Choose from one of our set menu's or alternatively contact us so we can create a bespoke menu for you. Don't forget Father's day on Sunday 16th June. All dads with their families present and dining at the restaurant will receive a free refreshing bottle of Singha, Chang or soft drink. Our brand new menu's have arrived. Happy Thai New Year to all our customers and friends.